If you feed them, they will come. 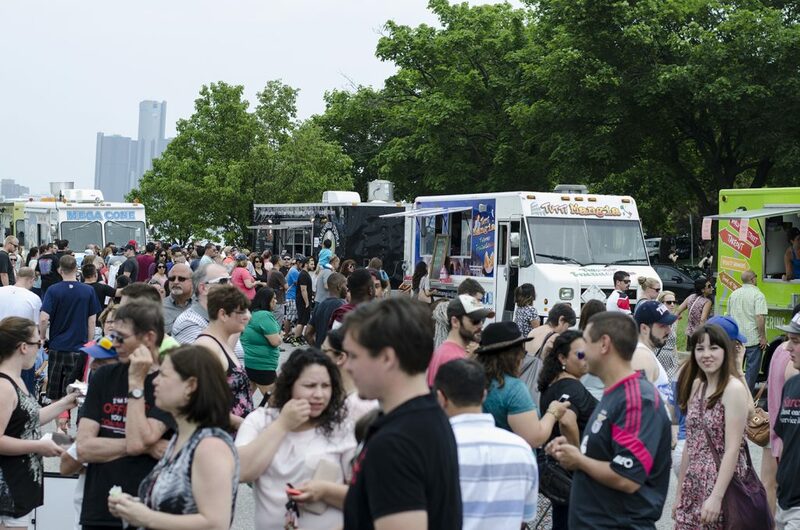 People love their food trucks! 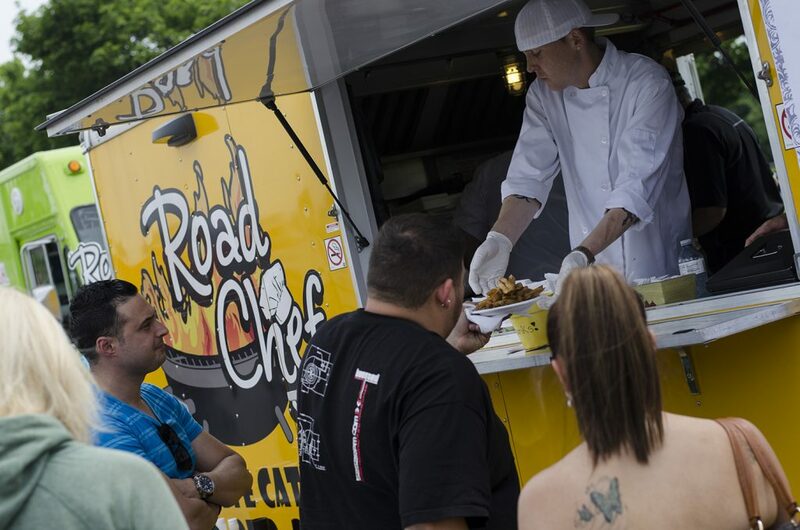 10 food trucks from Windsor-Essex and across Southwestern Ontario served the masses yesterday at the Sunset Truckin’ Good Food event that WindsorEats organized. Over 7000 people were served throughout the day with trucks finally running out of food around 6:00pm, just as the rain began to fall. Were you at the event? Be sure to check out our photos on Facebook and see if you can find yourself! Road Chef serving up some great eats. The next Sunset Truckin’ Good Food event takes place July 25-26, 2015 at North 42 Degrees Estate Winery. Be sure to get there early and read our food truck etiquette guide to brush up on what to expect.